… To get the best results from flowering and food crop. In fact, a recent gardening survey conducted by Gallup indicates that 50% of US gardeners do not use fertilizer at all in their plant care. These gardeners probably pay for this neglect in applying a little flower food by dealing with more insect pests and plant diseases. The vast majority of perennial plants need regular fertilization for top performance. Properly fed and cared for plants produce more, experience better plant growth and are generally healthier. In this article, we look at the reasons for fertilizing your lawn and garden and also provide information on specialty fertilizers and plant food. Read on to learn more. Why Do Plants Need Fertilizer? Most soil usually does not contain enough nutrients to help plants reach optimum performance and growth levels. Even the very best garden soil becomes depleted with the passage of time. As plants grow, they consume the soil nutrients. Fertilizing properly, adds nutrients back into the soil resulting in bountiful crops, beautiful flowers, healthy trees and bushes. What Nutrients Do Plants Need? The first three on the list come from water and air. The remaining three come from the soil. Nitrogen: Supports plants for making protein, essential in creating new tissues. In the natural world, nitrogen is sometimes scarce. This causes plants to work overtime to take in as much nitrogen as possible. Sometimes this causes them to miss taking up other essential elements. When nitrogen is in excess, the result may be a very healthy-looking green plant with lots of beautiful foliage and few (if any) flowers or fruits. Excess nitrogen can also hamper plant growth by blocking absorption of other essential nutrients. Phosphorus assists in carbohydrate production, helping plants grow big and strong to more disease resistant. Organic matter offers the best way for plants to get phosphorous. Natural compost creates a habitat for friendly fauna. Soil organisms’ activity makes phosphorus more available to plants. For good phosphorus absorption, a soil pH level ranging from 6.5 to 6.8 is ideal. Potassium: A good supply of potassium regulates metabolic activities. In addition to Nitrogen, Potassium and Phosphorus, 3 other nutrients are vitally necessary for healthy plants. These three required in smaller amounts than phosphorus, but just as essential. Calcium: Necessary to build strong cell membranes, helps neutralize toxins, binds inorganic and organic particles and improves soil structure. Magnesium: Absolutely necessary for photosynthesis, component of chlorophyll. If not present, plants cannot process sunlight into energy. Sulfur: Found in many types of protein and performs a wide variety of functions within a plant. It plays a key role in forming proteins, amino acids and oils. Chlorophyll cannot be produced without it, and it’s necessary for the development and activation of a number of vitamins and enzymes. Although needed in extremely small amounts, plants cannot thrive without them. Micronutrients abound in healthy soil enriched with organic matter. Which Is Better: Organic Fertilizer Or Synthetic Fertilizer? Both organic fertilizers and synthetic fertilizers have a place in good lawn and garden management. Plants take up organic fertilizers made from natural materials (e.g. composted manure, plant meal, bone meal) and natural minerals, more naturally and slowly. Typically, nutrients found in organic fertilizer are not water soluble. It may take months or years to fully break down in the soil for absorption by growing plants. Throughout the absorption process, organic fertilizers help support beneficial soil microorganisms. These, in turn, help break down nutrients to make them more readily available to plants. This natural process helps improve soil structure. Most of the time, amending soil with organic matter is all soil needs to provide plants with a full array of nutrients. Created from raw materials, chemically processed synthetic fertilizer products produce a very concentrated supply of nutrients plants can very rapidly absorb. These water-soluble fertilizers can benefit (or harm) plants almost instantaneously. Always follow the fertilizer label for instructions on applying these fertilizers very closely. If used too much plants can burn or become damaged. The environmetal impact is also a concern as these chemicals can quickly leach into waterways and wreak havoc with natural plant life. To help plants in need of a little boost, properly apply a high-quality synthetic plant food. Remember these chemicals do not improve soil texture, nor do they stimulate natural, beneficial organisms in the soil. Furthermore, chemical fertilizers do not increase a plants’ overall health or improve fertility. How & Why Should You Use Synthetic Fertilizers? Giving plants a “jump-start” early in the spring is a good use of synthetic fertilizers. These fertilizers like Miracle-Gro plant food are not dependent upon warmth or interaction with microbes to work. 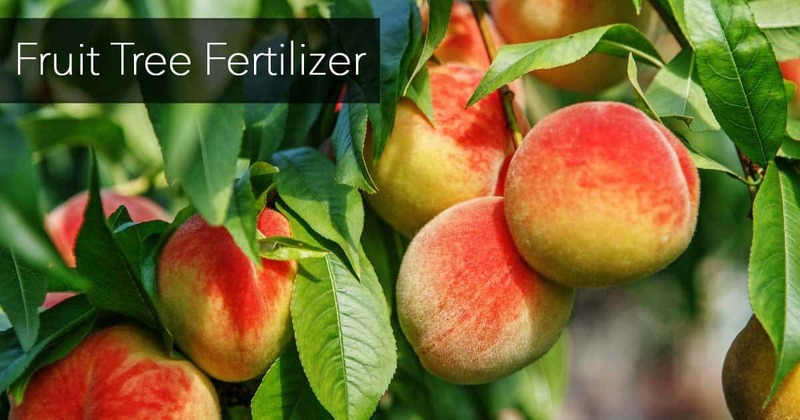 A number of organic fertilizers include a small amount of synthetic fertilizers, to ensure nutrients are readily available early in the growing season. Think of organic fertilizer as food and synthetic fertilizer products as vitamin pills. For these reasons it is wise to focus on building the soil with natural compost and organic fertilizer. This results in living soil that produces healthy, strong, disease resistant flowers, veggies, shrubs and trees. What About Fertilizer For Foliar Feeding? Spraying veggies, flowers and arboreal specimens with a good, foliar fertilizer solution or foliar sprays plus a wetting agent at these times will yield fabulous results. No matter how good the fertilizer materials, if pH levels are wrong plants will not absorb nutrients well. Generally, a pH level between 6 and 7 is just right. A soil test will determine your soil’s pH level. Soil test kits are available online and at local garden centers. If pH levels are low, add wood ash or lime to correct the problem, If pH levels are high, try using aluminum sulfate. Change pH levels slowly using an established a plan amending the soil gradually over a couple of growing seasons. Remember, organic fertilizer and compost act slowly. Amending soil with organic material is the best choice to improve soil pH over time. In fact, regular use of natural compost should keep garden soil at a pH level of 6.5, which is perfect. Most of the time, a good, general all-purpose plant food will provide ample nutrients for plants to thrive. However, some plants need specific nutrients. 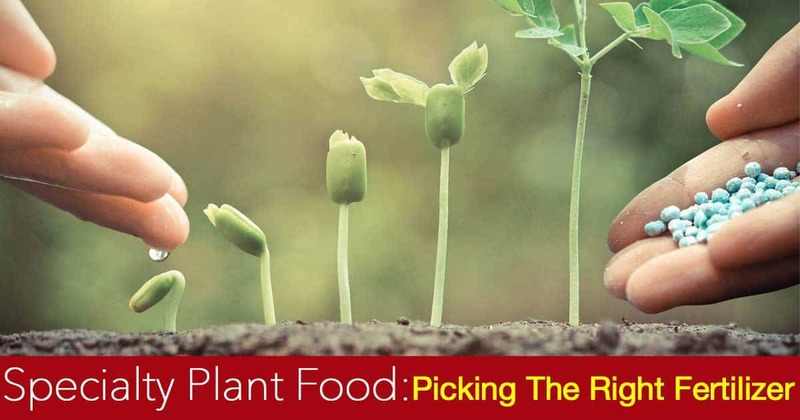 Select a plant specialty fertilizer to address the specific plant’s nutritional requirements. For example, choose a different specialty fertilizer for roses than for tomatoes. The NPK ratio listed on the fertilizer label will show the difference between specialty fertilizers. A general purpose fertilizer labeled as 5-5-5 has an even balance of nitrogen (N), phosphorous (P) and potassium (K). Look for fertilizer mixes that contain the correct ratio of macronutrients to provide the right nutrition for your plants. The NPK ratio of organic fertilizers are usually lower than synthetic fertilizers’. The NPK number only indicates nutrients immediately available. Remember organic fertilizers work slowly, so their true nutrient levels do not reveal the NPK ratio. Additionally, organic fertilizers include trace elements you are unlikely to find in a synthetic fertilizer. Do not let the higher NPK ratios of synthetic fertilizers fool you. Those high levels of nutrients are only available briefly and excessively high levels damage plants. It takes time and a natural process to create healthy, fertile soil. Natural compost and granular, organic fertilizers are perfect for this process. Water soluble, synthetic specialty fertilizer products can be a good choice to provide a boost of nutrients during active growth periods. A good general-purpose fertilizer like 10–10–10 gives perennial plants (e.g. asparagus, strawberries, raspberries and roses) a fertility boost. Use it on well-established plants early in the spring for optimum growth and productivity. Provide one treatment about a month after planting these veggies and another once they become established and growing well. Keep in mind soil temperature strongly affect slow release fertilizers. This can affect the amount of nutrients released at any given time. For this reason, consider amending slow-release fertilizers with water-soluble or controlled-release fertilizers from time-to-time. It’s always a good idea to keep soil amendment with slow release organic compost and fertilizers. How Does Slow Release Nutrition Work? Starter fertilizers help potted plants and lawns get off to a good start with a quick release nitrogen. When To Apply A Starter Fertilizer? The best time and way to apply a starter plant food is by incorporating them into the soil prior to planting or seeding. Another way adds the starter food or booster fertilizer as a liquid into water for application after planting. Nutrient makeup varies by brand. Some made with equal amounts of nitrogen, phosphate and potash and other starter foods double the amount of nitrogen. Tomatoes, peppers and eggplant, all members of the nightshade family do well with a high phosphorus fertilizer. Adding Epsom salt strengthens tomato plants cell walls improving phosphorus uptake resulting in large and abundant fruit. Good organic tomato fertilizer should carry a nutrient balance of 5-6-5. For tomatoes, especially, proper soil amendment with a good organic fertilizer will help prevent the development of blossom end rot and provide with the exact plant nutrients necessary to produce an abundant crop. Ask most successful orchid growers about orchid fertilizer and they’ll quip feed orchids “weakly, weekly”. Orchids like frequent fertilizing but not excessive fertilization. Err in the direction of too little fertilizer than too much. Orchids respond well to a balanced liquid water-soluble fertilizer like 20-20-20 complete with trace elements. Fertilize orchids, using a diluted water-soluble fertilizer solution of approximately 1/4 standard strength. Always water plants thoroughly with plain water first and then fertilize. If you fertilize dry “media”, the roots may burn. It’s very important to keep citrus trees well fertilized as their branches need a lot of strength to support abundant, heavy fruit. In spring and summertime fertilize once a month. In fall and winter, fertilizing in alternating months. Keep a close eye on your tree to make sure it gets all the required nutrients. It’s best to fertilize blueberries during the spring when plants begin to put on leaves and before fruit sets. This gives the roots time to absorb the plant food before the active growth season. Blueberries prefer an acidic soil, look for a high acid fertilizer containing sulfur coated urea or ammonium sulfate, which carry a lower pH level. Avoid using fertilizers containing nitrates (e.g. calcium chloride or calcium nitrate) as these can kill blueberry plants. 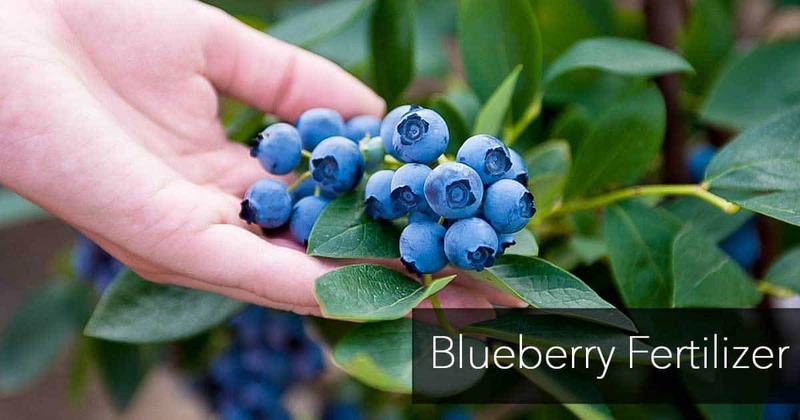 Fertilize blueberry plants once a year in spring. Use a fertilizer which releases slowly throughout the year. Be certain the fertilizer contains ample magnesium and iron as blueberries are susceptible to deficiencies of these nutrients. Fertilizing roses varies depending upon whether plants are established or just starting. The type of rose grown also plays a role is type of fertilizer selected. In general, start young roses off with organic fertilizer, and hold off chemical fertilizer until roses become well established. After working the mixture into the soil surrounding your bushes, water thoroughly. Not a dedicated rose grower but want to provide your roses with adequate nutrition? In early spring give them a dose of 10-10-10 fertilizer. Palm trees grow slowly, and a good palm tree fertilizer releases slowly. Amend the soil with organic matter and/or compost. Chemical fertilizers can burn roots and also cause a salt buildup of unused nutrients. This is especially true with potted palms. Choose a mix with a NPK ratio of 8–2–12. Be sure it does not contain mineral oxides such as iron oxide. Palms cannot utilize iron in this form. Instead look for either EDTA iron or chelated iron, both water-soluble and more readily available to the plant. A palm tree fertilizer should also include a good balance of both micro and macro nutrients, especially boron. 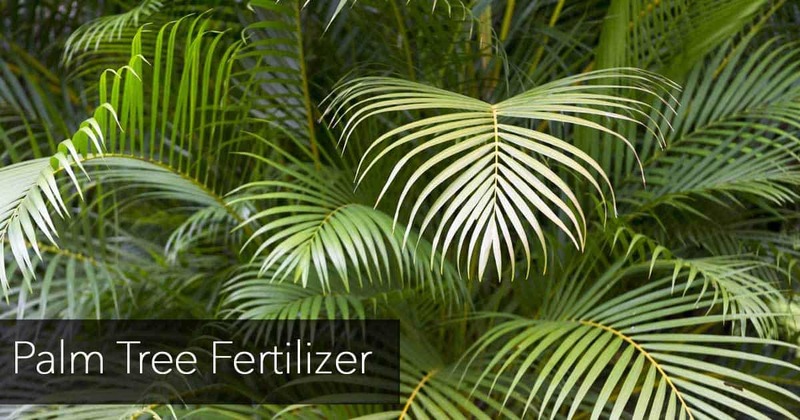 As with fruit tree fertilizers, palm tree fertilizers are also available as palm tree spikes. When fertilizing hydrangeas, take special care to not burn their roots. According to the National Gardening Association, an annual application of compost is a good choice for fertilizing hydrangeas. For best results, spread 1/2 to 2 inches of composted manure or mixed compost around the plants. Spread the compost to the drip line of each plant and work it into the soil early each spring. 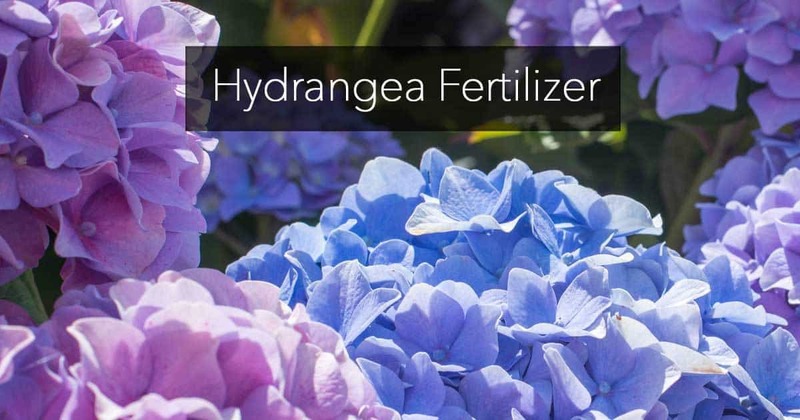 This fertilizing method benefits hydrangeas with both nutrients and effective soil aeration which improves drainage. If using chemical fertilizers, choose a slow release form which is less likely to burn roots. Follow directions carefully and sparingly. When choosing a hydrangea commercial fertilizer a balanced 10–10–10 or 8–8–8 will suplly the needed nutrients. As with compost, apply chemical fertilizers annually in the early spring. They can also be applied in late spring or during the mid-summer. Remember hydrangea color depends upon the amount of aluminum in the soil. Acidic soil has ample aluminum resulting in blue flowers. If the soil has a lot of phosphorus, it will bind with aluminum and alter the flower colors. 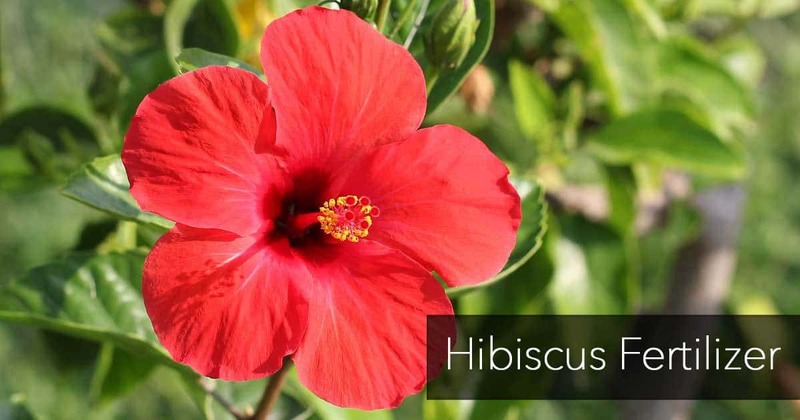 When growing Hibiscus trees they do well with a balanced fertilizer such as 10-10-10 or 20-20-20. When applying a water-soluble chemical fertilizer, dilute it to half strength. Using chemical fertilizer at full strength on a hibiscus bush can cause root burn and dropping, yellow leaves. Hibiscus enjoys plant food like this applied frequently, but a little bit at a time. Ongoing, light nourishment keeps the tree growing and blooming. When using organic or slow release fertilizer, apply four times annually. If using a water-soluble liquid plant food, apply lightly twice a month during the growing season (spring and summer) and once a month during the dormant season (fall and winter). Take care not to fertilize only at the base of the hibiscus tree. Extend the fertilizer to the tree’s drip line to prevent a concentration of fertilizer all in one spot. When fertilizing fruit trees, timing is everything. Always try to fertilize just before flower buds break in the early springtime. Fertilize in June as the second option. Try not to fertilize during the summer or the autumn as this may prompt trees to put on new growth. When cold weather comes, tender growth may become damaged. Not all fruit trees need fertilizing. To determine if your tree needs fertilizer, observe it carefully. How Much Fertilizer To Apply? When determining the amount of fertilizer a tree needs take the age of the tree into account. Generally speaking, trees need 1/10 pound of nitrogen for each year of age. Don’t know the age of the tree? Measure the trunk diameter about a foot above the ground. Apply roughly 1/10 pound of nitrogen per inch in diameter. Be careful not to give a fruit tree more than a pound of nitrogen annually. When fertilizing fruit trees, apply fertilizer one foot out from the tree trunk out to the drip line of the tree. Another fertilizing option involves using tree spikes. Using a hammer, pound spikes into soft, moist ground 2 inches below the soil surface. For small trees with small drip lines (less than 2 feet tall) pound spikes into the ground 2 feet away from center of the tree trunk. Fall feeding with a slow time release lawn fertilizer benefits lawns giving grasses extra nitrogen late in the season (September through December). This provides grasses with the nutrients they need to develop healthy root growth during the fall and winter for an early spring start. Feeding with a turf fertilizer in fall results in richer and thicker springtime growth along with providing some winter lawn protection. Unless your deciduous azaleas (genus Rhododendron) look to be suffering from malnutrition, don’t fertilize them. To treat these problems, work dried, shredded leaves or other organic compost into the soil to improve drainage and add nutrients. The symptoms caused by both a lack of nutrients and compacted soil, should take care of your problems. If using a azalea food commercial fertilizer, the best NPK ratio is 15-5-15. This will provide azaleas with an abundance plant food ingredients but primarily nitrogen, the most important nutrient for their proper care. When fertilizing azaleas extend the rhododendron food out to the drip line. Azaleas roots reach far, so it’s important to broadcast fertilizer lightly and evenly all around the plant rather than concentrating it in one area. Remember not to over fertilize azalea plants. Only provide azaleas and rhododendrons food when these plants show signs of distress. The gardenia bush loves acidic soil. Before selecting a fertilizer, test the pH level of your soil. The aim? Maintain a pH level not higher than 7. Gardenia Fertilizer Tip: Choose a granular or acid forming fertilizer to help maintain the soil acidity consistently without burning the roots. When shopping for gardenia fertilizer choose types specifically formulated for acid-loving plants. Additionally, gardenias need an ample amount of iron and copper for good leaf development and flower production. 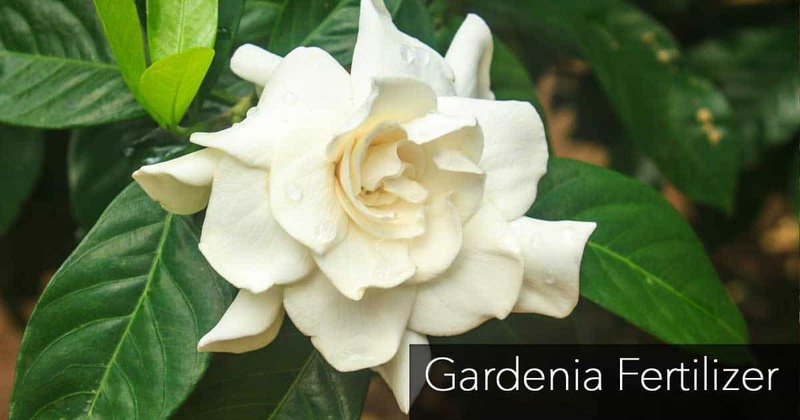 Fertilizing gardenias with coffee grounds works especially well as the naturally acidic coffee grounds contain large amounts of potassium, magnesium and nitrogen. Also, adding a very small amount of white vinegar to irrigation water benefits Gardenias as well. Don’t overdo it, just a 1 tablespoon per gallon. During the growing season, fertilize gardenias lightly, once per month. Do not fertilize during the fall and winter. 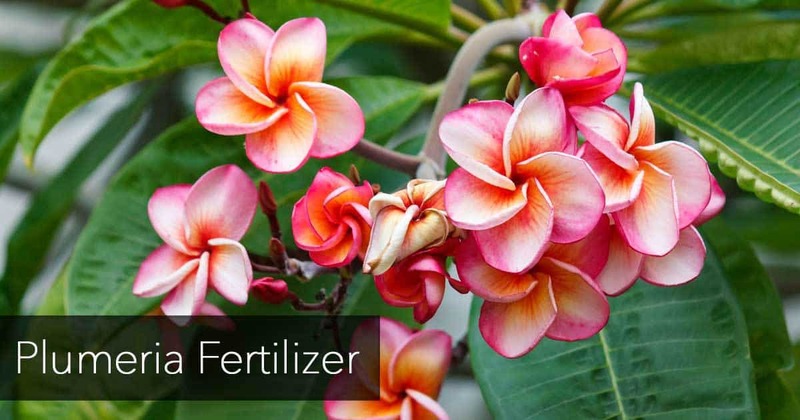 When selecting fertilizer for plumeria, look for low nitrogen fertilizers, high phosphorus combination. A fertilizer label with a low first number and a high second number. Also remember plumeria likes a somewhat acidic soil. Frequent fertilization is good; however don’t overdo it. If you happen to over fertilize, treat the soil with Epsom salts (1 to 2 tablespoons monthly) to neutralize the acid. Fertilize plumeria lightly and often throughout the summer months. For best results, use a liquid foliar fertilizer. Plumeria’s tend to be quite thirsty. Watering frequently will wash the nutrients in root fertilizers out of the soil. Tropical bougainvillea do well in well-tilled, loamy, fertile, well-drained soil. Water them once a week, and wait for the soil to dry out completely before watering again. Fertilizer using a balanced fertilizer of 20-20-20, or alternately 21-5-20. Apply three times annually with a diluted solution at half the recommended strength. 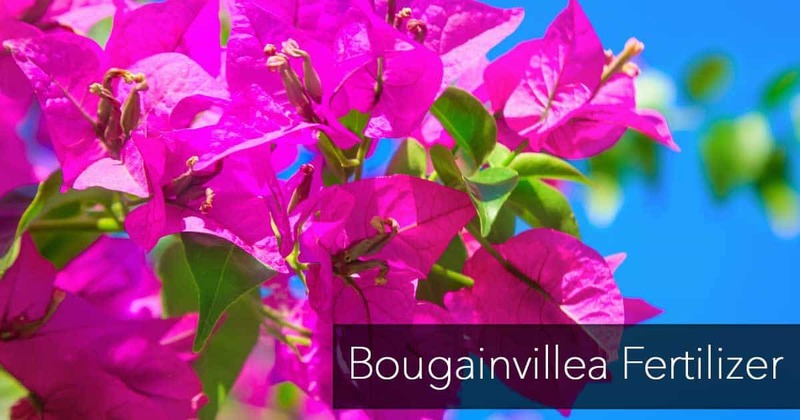 Fertilize bougainvillea in the spring, summer and fall. Alow bougainvilleas to rest in the winter. For potted and garden cactus to thrive they need regular fertilizer. Just remember don’t overfeed. Generally speaking, use any houseplant high phosphorus, low nitrogen fertilizers in a diluted solution. For example, a 5-10-5 solution diluted to half strength is ideal. Cactus do not need plant food frequently. In fact, an annual feeding should be adequate. To enhance blooming and growing, fertilize cactus two or three times a year. With this regimen, fertilize lightly in the springtime, the summer and in autumn. Allow your cactus to rest in the winter. Be careful to not overfeed nor over-water your cactus. For optimum cactus health, judicious care is desirable nutrients. SUPRISE: You Can Feed Your Grass & Garden Coffee Grounds! Will Coffee Grounds Acidify My Garden Soil?